A great double act! Inspired curating puts the work of these artist’s together – everyday Americans with ethereal, theatrical image bites. The mis en scène created in the exhibition space, the tension between sculpture, photograph, frame and space – is delicious. 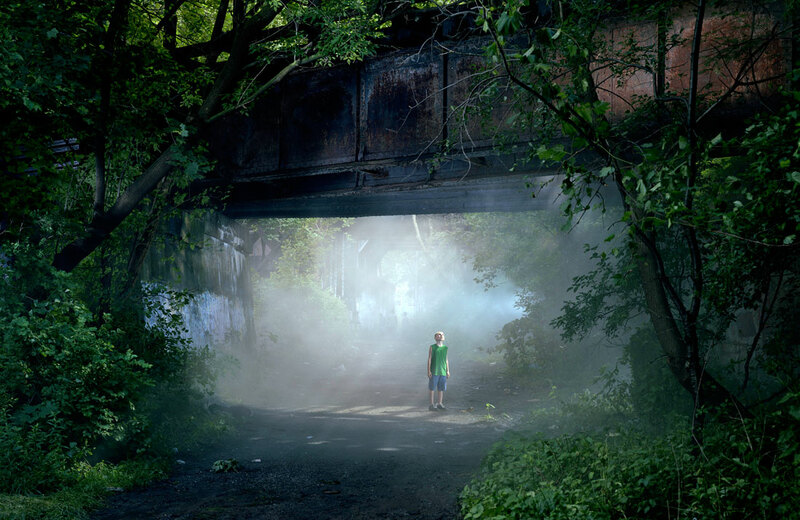 Crewdson is at his best when he resists the obvious narrative (for example, all the traffic lights stuck on yellow in the photograph ‘Untitled (Brief Encounter)’ (2006, see below). Personally I prefer his staged photographs with pairs or groups of people within the image, rather than a single figure. The storyline is more ambiguous and the photographs of people walking along railway tracks always remind me of the Stephen King story filmed as ‘Stand by Me’ (1986) with a young River Phoenix. Either way they are intoxicating, the viewer drawn into these wonderful, dark psychological dramas. Many thankx to Museum Frieder Burda for allowing me to publish the photographs in the posting. Please click on the photographs for a larger version of the image. 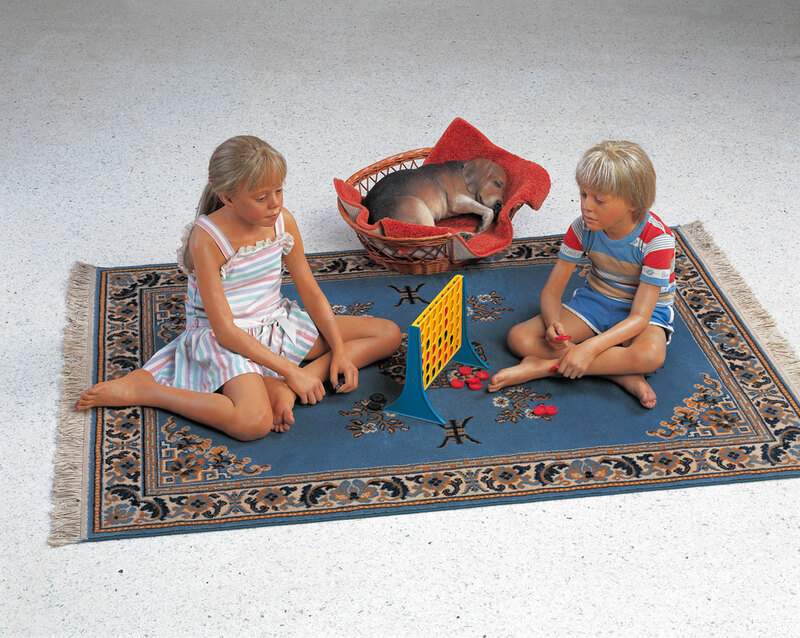 “The works by the two American artists Duane Hanson (1925 – 1996) and Gregory Crewdson (born in 1962) confuse and touch the observer. Both artists present people in their everyday lives, with hopes, yearnings and broken dreams. People we usually do not notice, aged and marked by reality, by life itself. While Hanson shapes his life-sized figures with a great deal of sympathy, Crewdson rather spreads a gloomy and depressing atmosphere in his pictures of lonely people in their houses, gardens and in streets. With his realistic sculptures, the American artist Duane Hanson has become a synonym for contemporary realism in contemporary art. Typical motives are average people like housewives, waitresses, car dealers, janitors. Posture and expression of these figures are very close to reality. 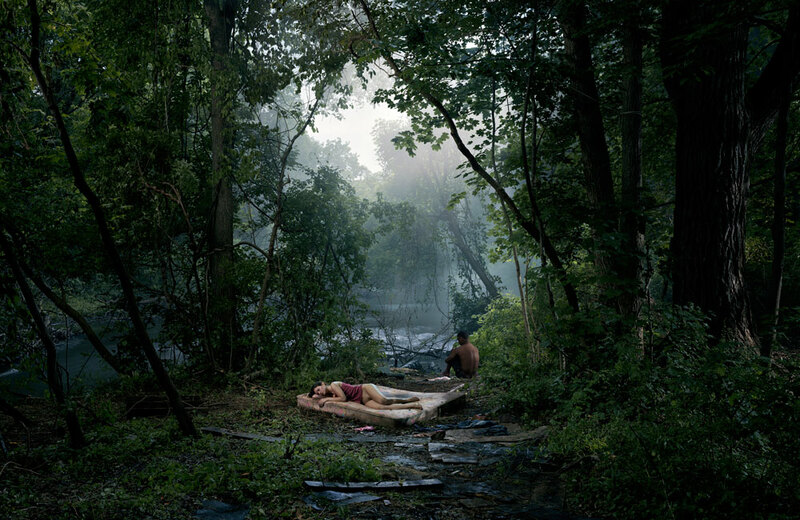 The photographer Gregory Crewdson arranges his large format pictures with cineastic arrangements and lets the abyss behind every-day life scenes become visible. 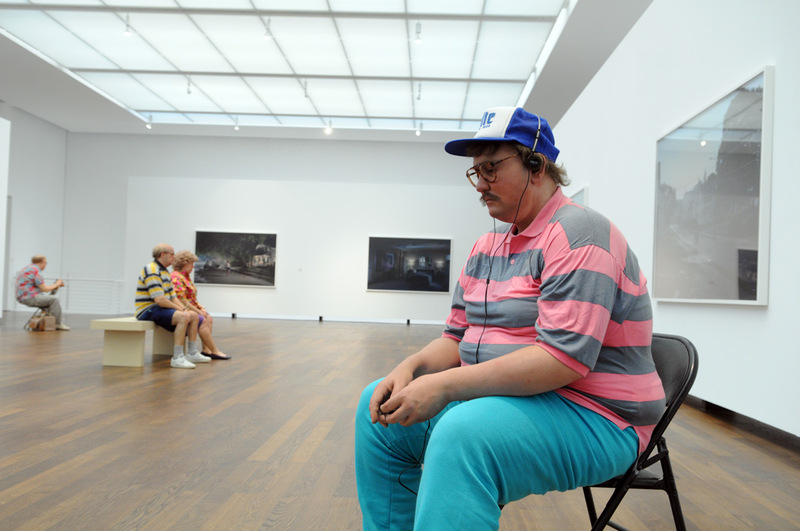 The exhibition at the Frieder Burda Museum presents about 30 figures by Duane Hanson, mainly from the artist’s estate, in dialogue with 20 large format works from the series ”Beneath the Roses“ by the photographer Gregory Crewdson. The photographies are mainly owned by the artist himself. The curators Götz Adriani and Patricia Kamp are not aiming at a direct confrontation. They are rather presenting two artists who work with different materials, but deal with very similar topics. Both artists, Hanson and Crewdson, are grand when it comes to arranging their art. 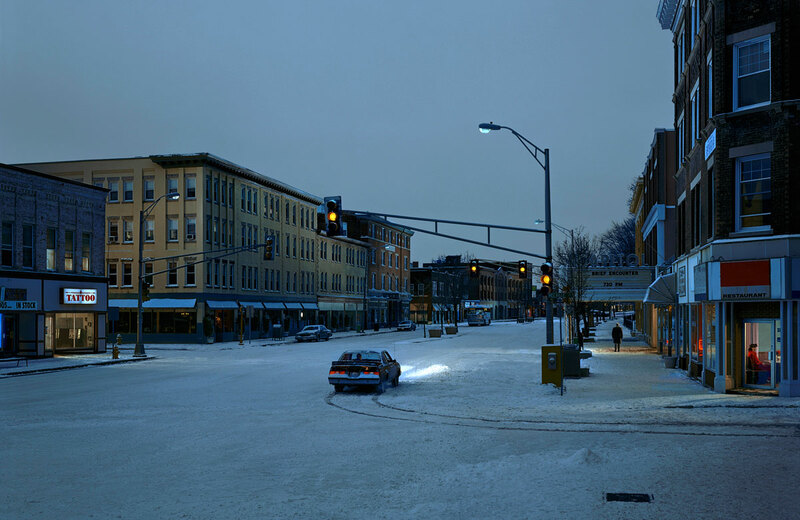 Crewdson always puts very much effort into the arrangments of the scenes in his pictures, and Hanson always keeps an eye on his close surroundings. The works of both artists impressively reflect the complexity of the human existence. 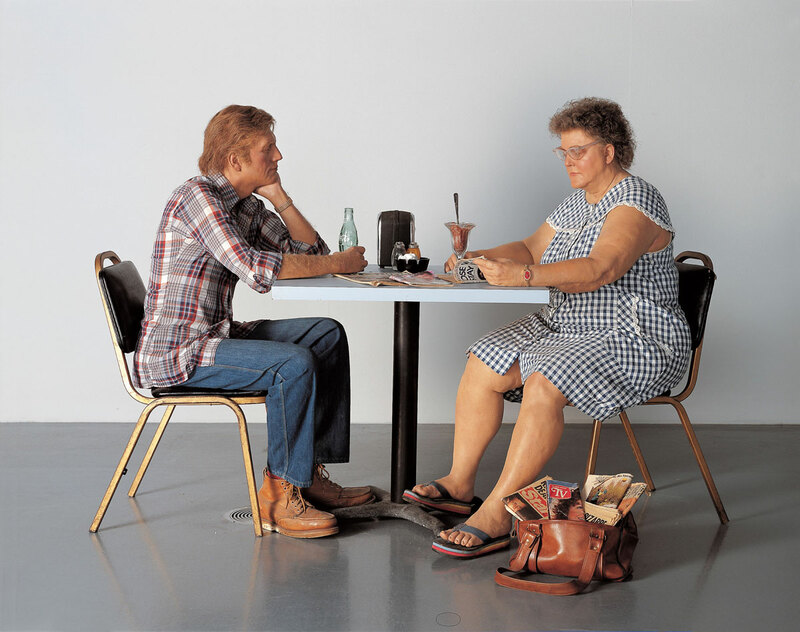 Duane Hanson (1925–1996) is one of the most influential American sculptors of the 20th century committed to Realism. The proximity to reality of his lifelike, detailed human figures make for perfect irritation. Despite all the seriousness hidden behind the sociocritical issue, which prompted Hanson to create his protagonists, the figures have a great deal of entertainment value, above all – and it is precisely this that makes them so appealing – due to their occasional gravitational bearing. Featuring twenty-five works, the exhibition presents a representative cross-section of the American’s extensive oeuvre, which comprises a total of only 114 works. 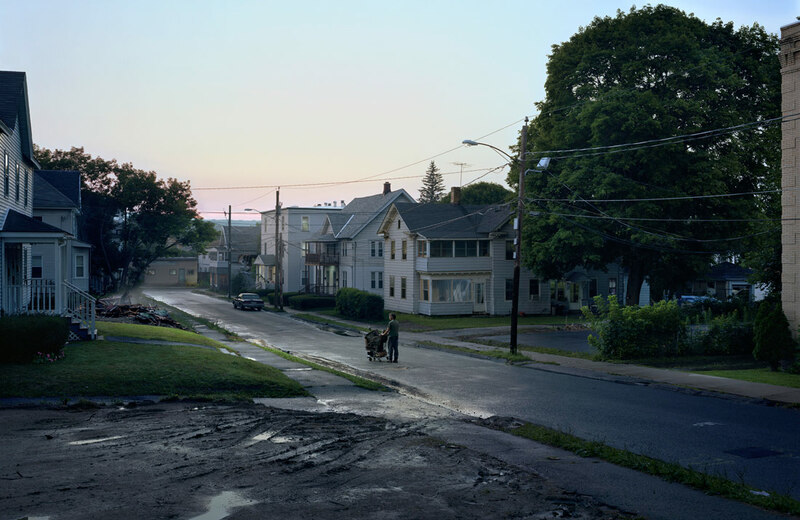 The figures enter a dialogue with the large-format photographs by the American photo artist Gregory Crewdson, who has a flair for relating human abysses in a different and very subtle way. In the early 1950s, after completing his study of sculpture at the Cranbrook Academy of Art in Bloomfield Hills, Michigan, Hanson was initially guided by the abstract style of art that prevailed during this period. However, this would not lead to a satisfactory result. In 1953, he turned his back on his homeland and spent nearly ten years of his life earning a living as an art teacher at American schools in Germany. It was during this period that he discovered the materials polyester resin and fiberglass, which would become crucial for his future creative work. After returning to the United States, Hanson spent the ensuing years perfecting his artistic skills in the treatment of these materials in such a way that the boundaries between reality and artificial figure seem to blur – where Hanson was never concerned with the mere illusionistic reproduction of reality, but chose this veristic manner of representation as a medium for communicating his concern in terms of content, i.e., shedding light on the tragedy of human lives that hauntingly consolidates in his characters. 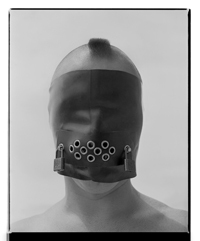 In the human figures produced in the early work phase in the late 1960s, Hanson responded to the sociopolitical tension and protest movements of the day. He created sculptures and ensembles that very directly take issue with social hardship, violence, or racism, and he took a stand for the victims of this system, for the people who never had a chance to successfully face the demands made by life. Influenced by Pop Art, Hanson turned to thematizing everyday American life, frequently switching his observations to a critically satirical attitude that was, however, always guided by compassion. Housewives, construction workers, car salesmen, or janitors – the models for his figures are people in the American middle and working classes in whose biographies the disappointment in the American dream has become entrenched. He often puts his people and all of their small insufficiencies into perspective with ironic kindness, such as, for example, the Tourists, in whom are combined all of the clichés associated with the typical Florida tourist. Hanson’s participation in documenta 5 in Kassel in 1972 gave rise to his international breakthrough. His figures became more lifelike; they more and more naturally blended into their surroundings. Their gestures, facial expressions, and postures related the emotional and physical burdens of life. The artist concentrated on older people in whose physiognomies one can read the traces of existence, the impact of loneliness, the problems that accompany being old, and their alienation. Hanson was struck by the isolation of this generation by society, a circumstance that has not lost any of its relevance. Hanson’s interest in rendering the figures as lifelike as possible is surely not rooted in a desire to want to convince the viewer of their “authenticity”; rather, their lifelikeness was meant to move the viewer to experience empathy and concern, thus manifesting Hanson’s humanism. Human values and destinies comprise the focus of his art; he transforms the reality of life into the realism of art and in doing so sharpens our outlook and our view of the world, our fellow human beings, and our own life as well. 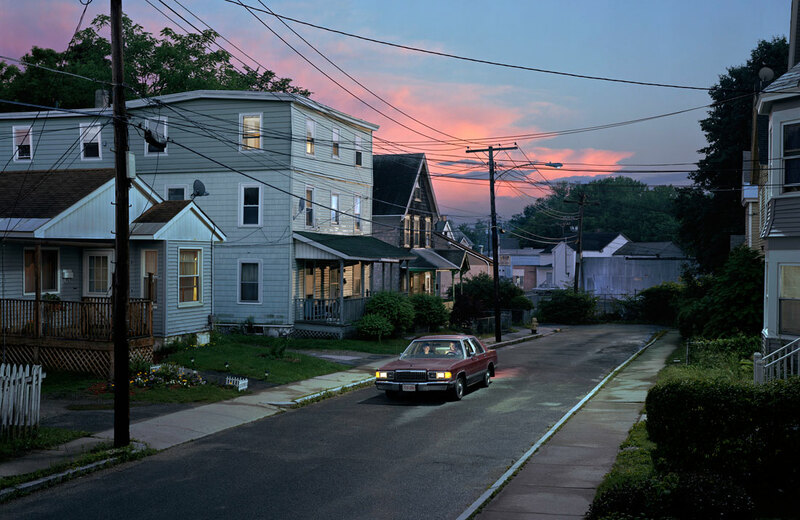 Born in 1962 in Brooklyn, New York, Gregory Crewdson is one of the best-known contemporary photographers internationally. 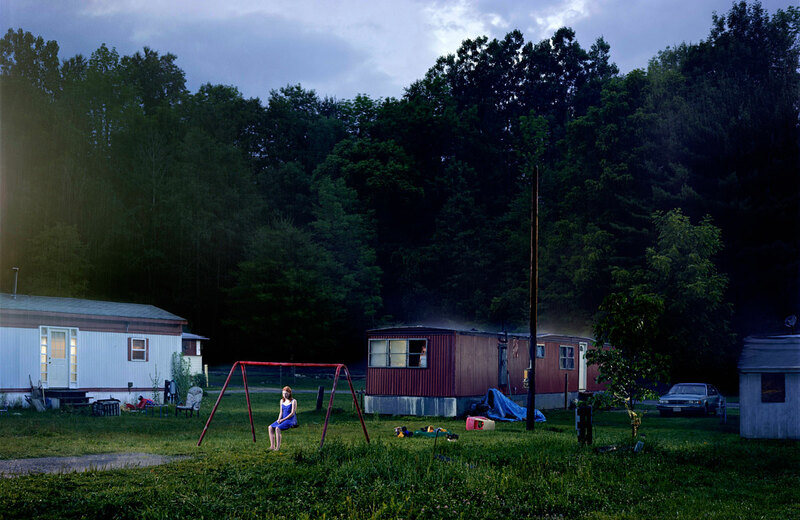 In his most important series to date “Beneath the Roses”, which he created between 2003 and 2008, Crewdson explores the American psyche and the disturbing realities at play within quotidian environments. In his dramatically detailed and realistic photographs situated in America’s morbid, small-town milieu, the artist succeeds to stimulate the viewer’s subconscious on various levels. 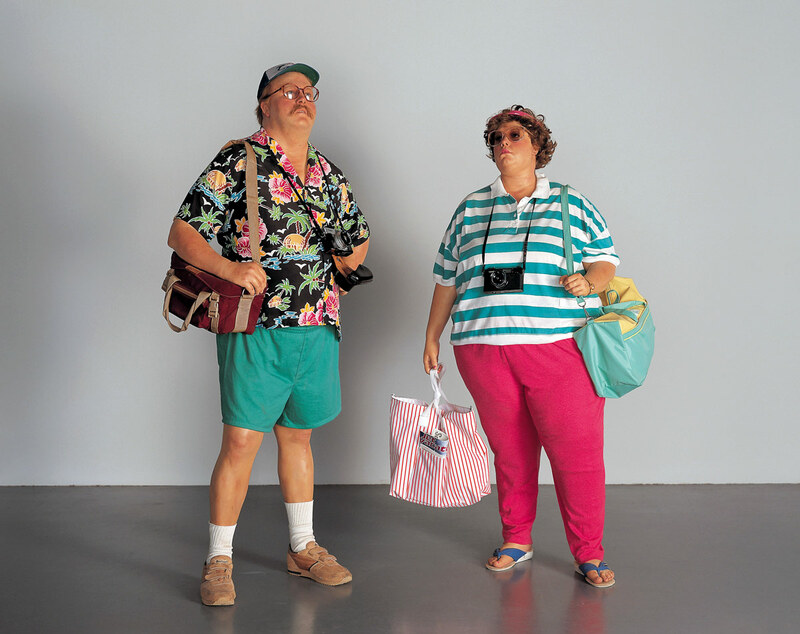 Twenty outstanding works from the series are being placed in a dialogue with sculptures by Duane Hanson. 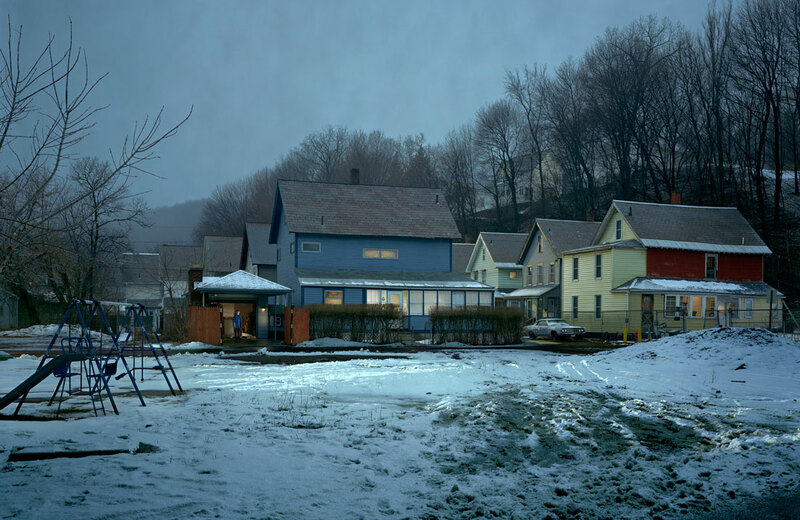 Gregory Crewdson does not spare either effort or expenses for the production of his visual inventions, which are reminiscent of film productions. The stagings are planned and arranged in advance down to the smallest detail and then elaborately implemented in a major logistical and human effort. The final photograph is the result of what is frequently work lasting several weeks, a circumstance that is substantiated by its depths in terms of content and its technical perfection. 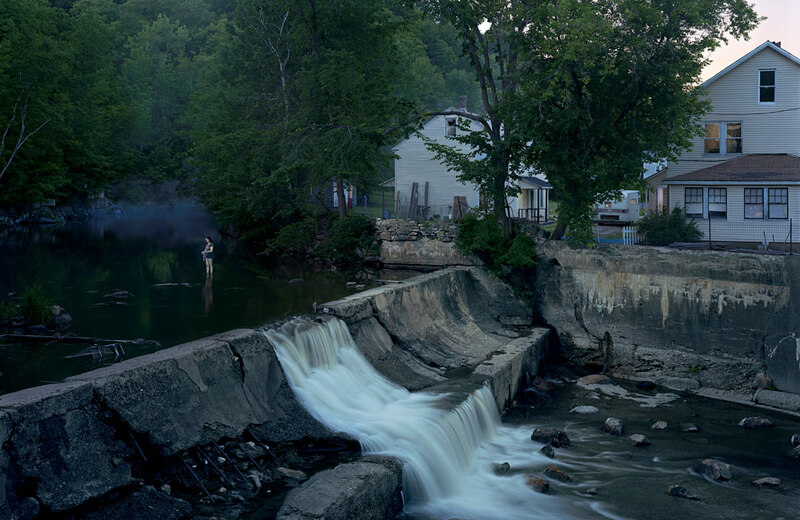 Gregory Crewdson works in two distinct ways to create his photographs. On one hand, he works on location in real neighborhoods and townships. On the other hand, the artist works on the soundstage inventing his world from scratch. 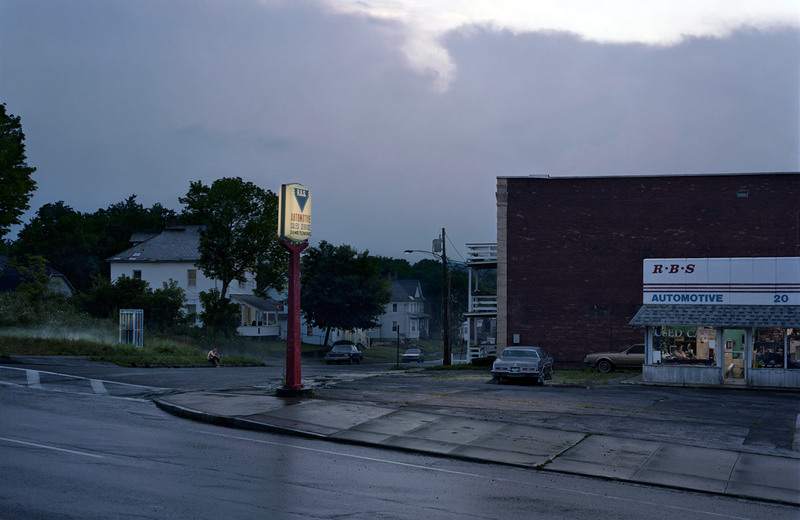 Before the photographic location productions start, Crewdson drives around upstate Massachusetts looking for interesting settings, which he then has prepared in an elaborate process. In most cases, local residents of the ramshackle towns also play the characters in his work. 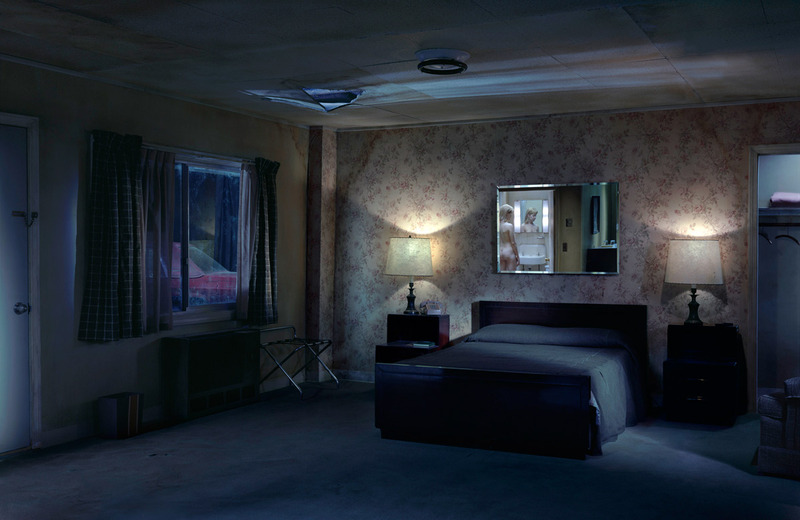 Crewdson works closely with the art department of the museum MASSMoCA, when shooting his pictures done on the soundstage. The results are much like stills from a movie and reflect his affinity with cinema. 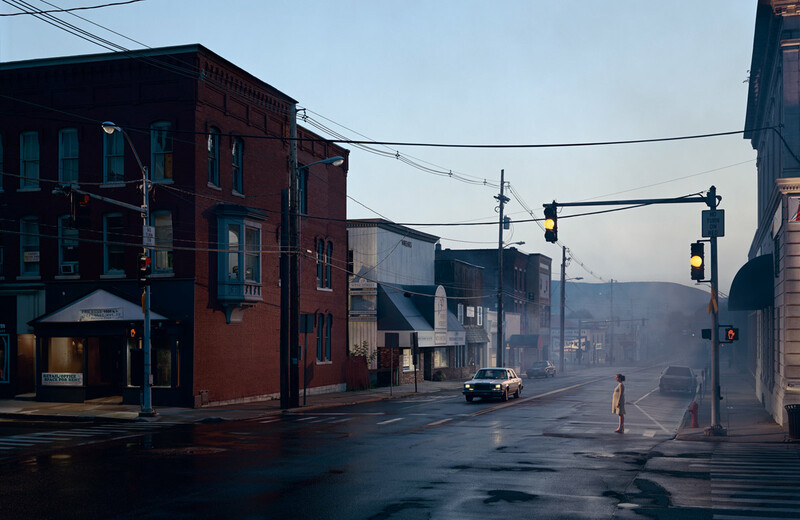 Filmmakers such as Alfred Hitchcock, David Lynch, or Steven Spielberg are the inspiration for Crewdson’s uncanny stories, which he seems to freeze in a single snapshot in time. The construction of this narrative instant demonstrates the artist’s extraordinary talent. Like sophisticated literature does the reader, his works pose a challenge to viewers, as they have to mount the decisive share of the creative effort themselves. A brief, fleeting glance is not enough. Viewers become immersed in the staged scenes full of details and accessories to experience a moment that is intensely real. Fantasy and the powers of imagination and association fashion the visual event in the mind to become a subjective, alternative reality – an uncanny reality. 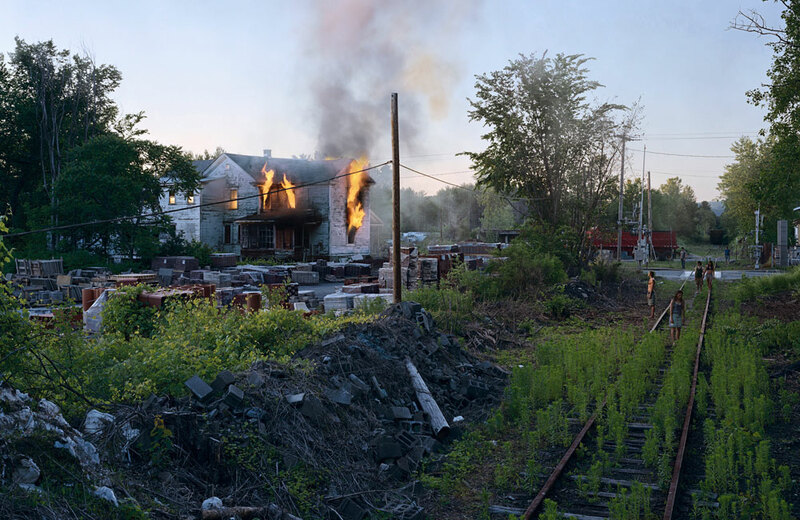 In his photographs, Crewdson deliberately works with emotions and fears that extend through his oeuvre in recurring, in part very different scenarios. They mirror alienation, absence, shame, sexuality, and loss – human states of emotion that deeply touch the viewer. That the artist focuses on the mind in his works may be due to the fact that, as the son of a psychoanalyst, he experienced insight into the profundity of the human soul very early on. 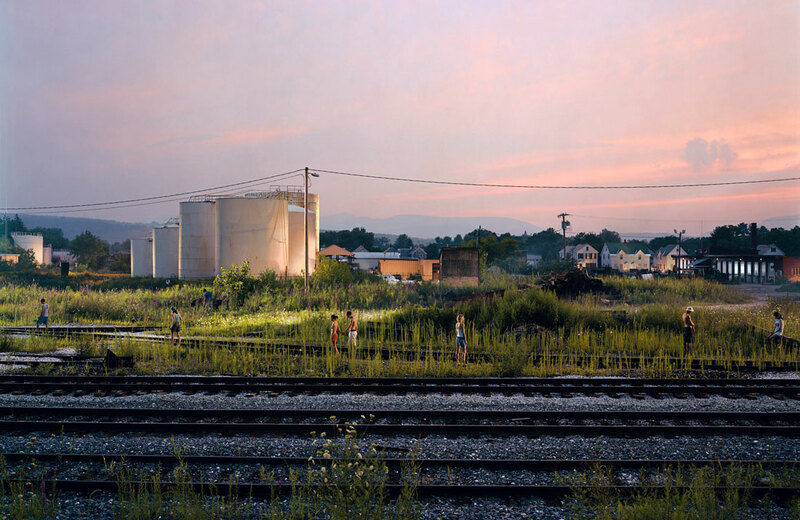 His works can be regarded as metaphors for fears and desires, for the things that take place below the surface, the palpable, as if Crewdson wanted to make visible a new or different level of reality situated somewhere between the conscious and subconscious. At the same time, the “Beneath the Roses” series can be seen as a psychological study of the American province. The settings show social realities and document the economic decline of a society behind the backdrop of the American way of life. 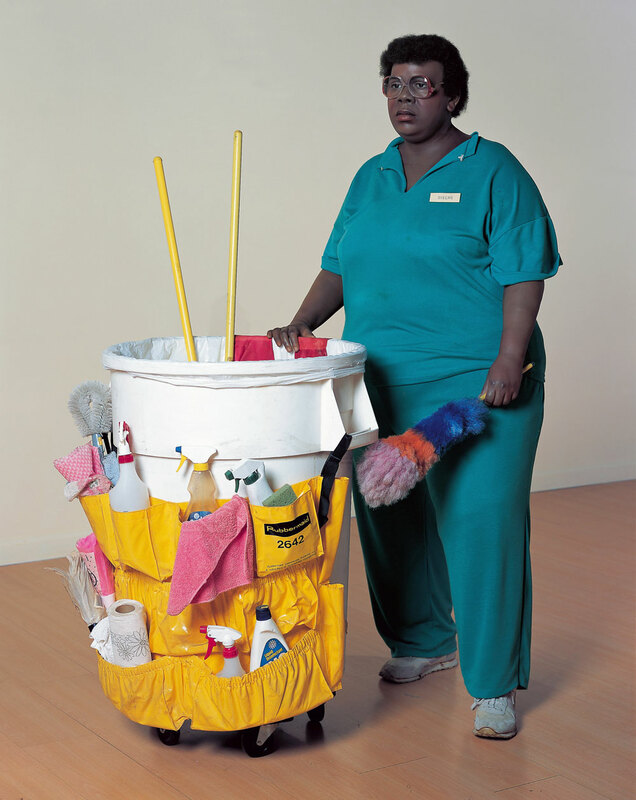 Unsentimental and direct, they reflect working-class life – which allows us to strike an arc to the work by Duane Hanson, whose oeuvre also revolves around the concept of humanity, the facets of which he lends expression to in his silent, introverted figures.